CALAMARO IS CURRENTLY ON HIATUS. WE HOPE TO RESUME PUBLICATION IN THE NEAR FUTURE. PLEASE CHECK BACK FOR UPDATES. 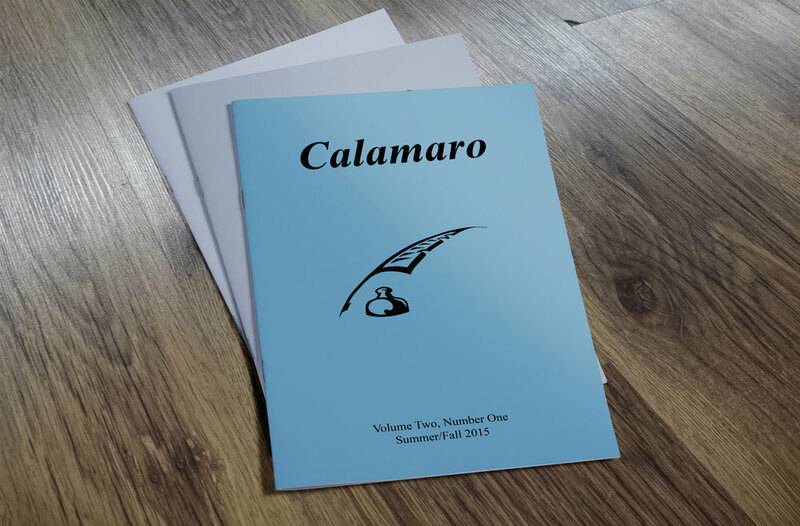 Calamaro is a print poetry magazine established in 2014, equally open to formal and free verse. The word calamaro is Italian for squid, a creature that uses of a spread of ink to simultaneously reveal and defend itself. Calamaro is published twice a year, with a winter/spring issue and a summer/fall issue. The magazine is about 40 pages long, staple-bound, 5-1/2 x 8-1/2 inches. We will soon have all of our issues available in their entirety online. The current issue includes poems by Clifford Brooks, Trent Busch, Patricia Callan, Kevin Craft, CJ Giroux, Jan D. Hodge, Adrianne Kalfopoulou, Christos Kalli, Jean L. Kreiling, Paul Lamar, Charlotte Mandel, Alice Teeter, Carol Tyx, Maria Luise Weissmann (translated from the German by James Owens), and Gail White. In every issue Calamaro brings attention to a poet not sufficiently known or honored, hoping its readers will delve deeper into the work of the featured poet. In our Winter/Spring 2017 issue we profile African-American poet Paul Laurence Dunbar and reprint a number of his poems, including formal verse and dialect poems.